These earrings from Gucci's GG Marmont collection have a delightful disparity: they are mismatched but oh, so complementary! 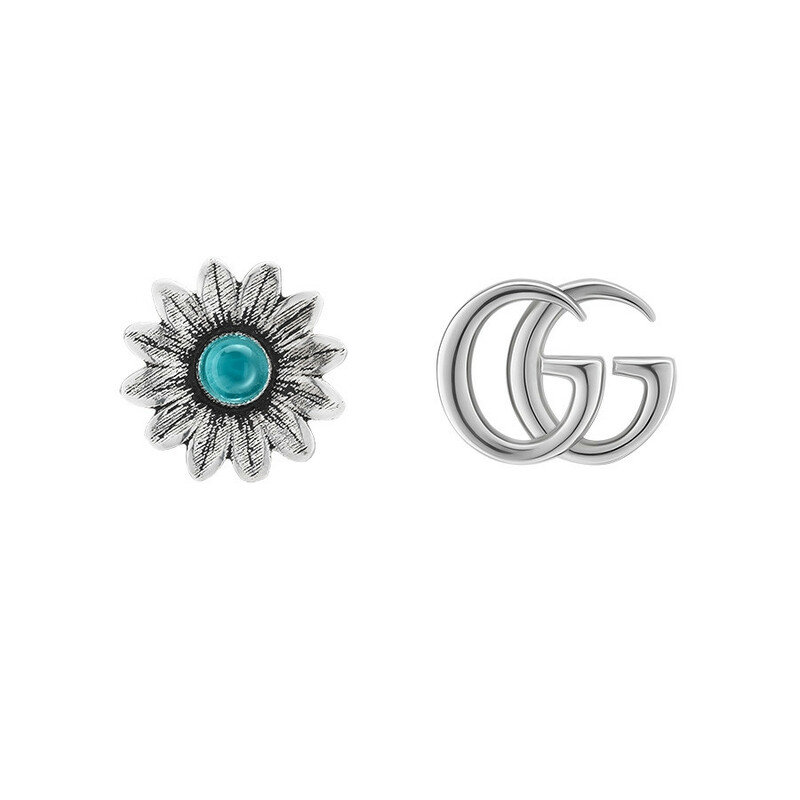 Crafted in sterling silver, one earring displays the brand's double G logo, while the other exhibits a bit of nature with a blue topaz-embellished gemstone at the center of a daisy flower. A post back ensures your comfort and the safety of the studs. These Gucci stud earrings have a commonality in their ability to captivate!